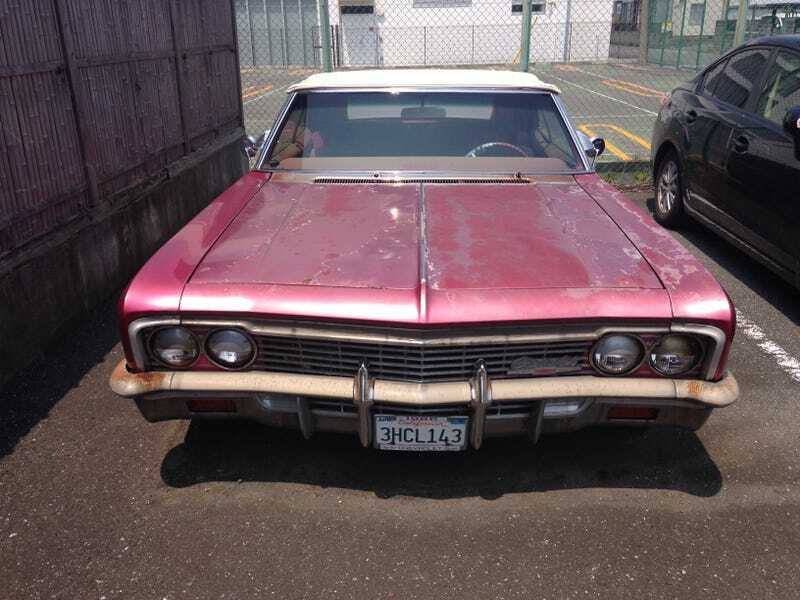 What Can You Tell Me About This Abandoned Impala in my Tokyo Suburb? What the hell is this doing here? It's not even two blocks from where I live. Kat Callahan is a writer for Jezebel and currently the LGBT editor at Jezebel's LGBT+ subpage ROYGBIV. She can be reached @JezebelKat on Twitter. She likes Japanese and German cars, with her loyalties being to Honda and BMW. She currently drives a JDM 2000 Honda Logo Sportic TS (GA5).